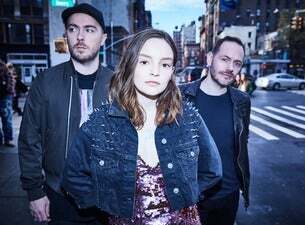 Glasgow-based CHVRCHES released their third full-length album Love Is Dead earlier this year, having previously dropped The Bones of What You Believe in 2013, and Every Open Eye in 2015. The summer has already seen the Scottish synth-pop trio appear at TRNSMT Festival, Parklife and Citadel, as well as festivals in mainland Europe and the US. Their third successive top 10 UK album, Love Is Dead features the singles Miracle and Get Out, as well as the sultry My Enemy alongside The National’s Matt Berninger, and Never Say Die.